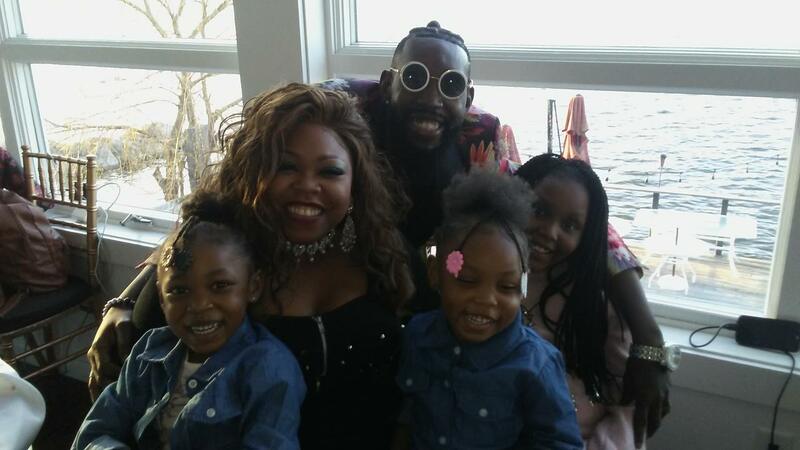 Mike Flowerz, music artist, of the Bronx with his wife and featured vocalist, LaToya J. and their daughters from left to right: Felicity, Epic and Mikaiyla. Flowerz partners with LaToya J. on “In The Building,” a song premiering on May 18 for the Hoboken International Film Festival in Greenwood Lake, NY. Despite a late arrival, it is officially spring and the countdown for the Hoboken International Film Festival (HIFF) in Greenwood Lake is in full swing. HIFF commences on May 18 with the Opening Night and concludes on May 24 Gala Award ceremony. 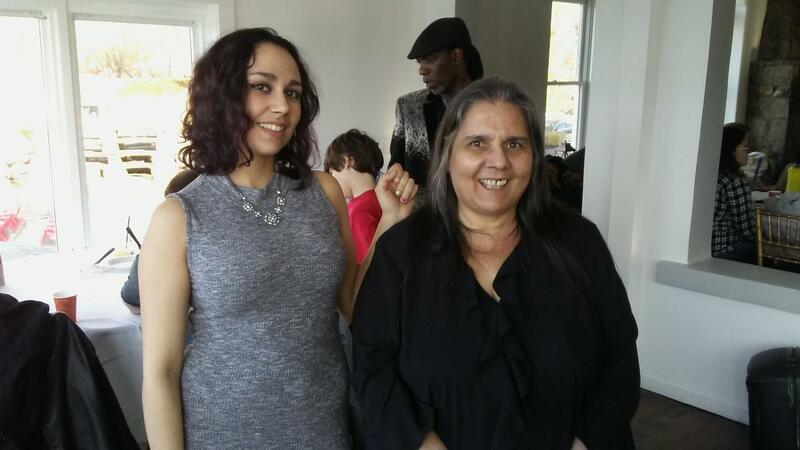 Cassie Teresi, actress, and Theresa Teresi, associate producer of Middletown, NY who are mother and daughter duo working together and camera-ready for video shoot at The Cove Castle restaurant in Greenwood Lake, NY. FOX, Time Warner and other major media says HIFF is of the 10 biggest film festivals in the world. The scenic Greenwood Lake serves as the background for the festival returning in its second year at the Thomas Morahan Waterfront Park. 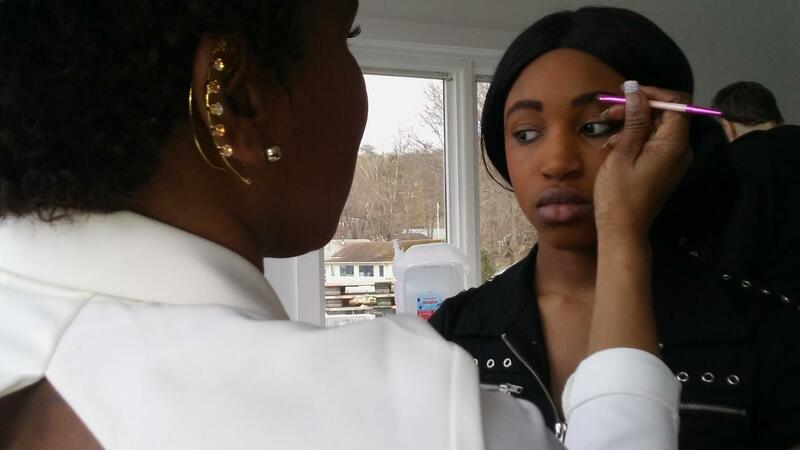 Make Up artist, Sasha, dolls up Jasmine Smith’s eyebrows with filling in and contouring the glamorous look. Nestled in the hills and along its namesake lake Greenwood Lake is home to the red carpet style festival for the second year. As a media blitz of lights flashing and stilettos strutting across the “Step and Repeat” – the backdrop banner – which is a favorite, to stop and pose for the media and answer questions from the paparazzi reporters. But now, there is a new buzz at HIFF creating flavors of music, song and dance. The festival has its own theme song appropriately called, “In The Building,” penned by Bronx music artist, Mike Flowerz, with featured vocals from his wife, LaToya J. “LaToya is the sauce. We are separate artists but on this track, we worked together,” Flowerz said. The husband and wife duo team live in the Bronx with their three daughters: Mikaiyla, Felicity and Epic. Both parents are Christians who attend The Cathedral Greater Faith Church, work full time, and raising three daughters; it’s packed with challenges according to Harlem born, LaToya J.
Mike the ‘visionary,’ wrote the lyrics in less than 25 minutes just freestyling. Flowerz described how being part of HIFF in the past, and watching all the different attendees such as actors and directors inspired his lyrics. He used that experience to ink a song. “We needed a song for the festival since HIFF created an atmosphere allowing me to join up with production company, “My Brother Obanga Productions” and get the music beat for the song,” he said. Raise Em Up Records President Dave Edwards and CEO Ken Hampton of Branford, Connecticut were on deck at the all-day video shoot on April 18. “In The Building,” video shoot was shot April 18 at The Cove Castle Restaurant in Greenwood Lake, New York. “I had an idea to create a theme song for the HIFF and connected with super talented Mike Flowerz to come up with the theme,” Hampton said. This is the first time that the category has been established and will be awarded at 2018 HIFF.